When this award-winning operator of inns and hotels set out to become the best of its kind in the UK, there was no question that the right guest feedback partner would make all the difference. GuestRevu has helped improve their online reputation, maintain high standards across the group and save time. As with any hotel group, the Coaching Inn Group had to ensure that even though they were running multiple businesses on different sites, all the GMs and their teams had the tools they needed to meet the high standards of the group. “As a group of properties, one of our aims is also to make sure that our ‘guest culture’ is the same in every one of our venues,” says Kevin Charity, Founder and CEO. However, without a digital system in place to manage the group’s guest feedback and online reputation, this was exceptionally difficult. Kevin and his team were aware of the limitations of manually trying to keep up with changes in guest expectations and online reviews – it was not only time-consuming, but it was leaving huge gaps in their intelligence in terms of guest experience management, insights and trends. TripAdvisor success also remained elusive. 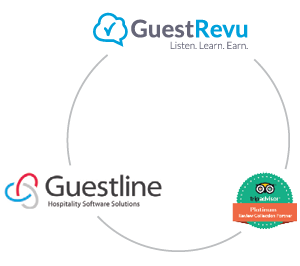 As a Guestline Rezlynx user, the group also took advantage of integration with their Property Management System, which allowed guest feedback to be requested and collected seamlessly. 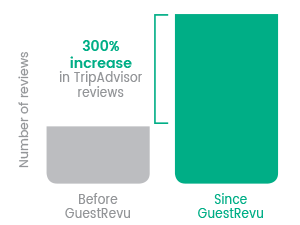 By driving reviews to the world’s largest travel site, GuestRevu’s TripAdvisor integration helped the group attain the success on TripAdvisor which had previously eluded them in today’s competitive environment. 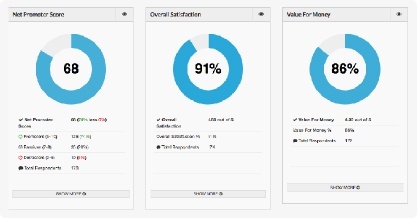 GuestRevu also helped the management team keep on top of review responses, thanks to regular email notifications. One property received an increase of more than 300% in the number of reviews published on TripAdvisor in the first three months after GuestRevu was implemented with TripAdvisor integration. Overall, the group has also seen an improvement in properties’ average review scores, which means that more potential guests are likely to book. The Coaching Inn Group now quickly and effortlessly gathers information that is easy to interpret, and the management team has a much better idea of what is going on at individual properties and in the group as a whole. By keeping an eye on overall trends in guest feedback from each property, group management can easily spot any downward trends, identify the cause and make improvements. For example, group management was able to identify one hotel’s overdependence on its GM when service scores suddenly declined while he was on holiday. 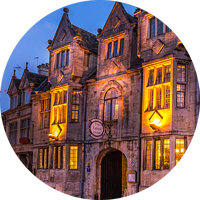 Rather than basing investment decisions on the opinions of a single manager or executive, the Coaching Inn Group now uses guest intelligence to indicate specific areas for improvement. Because the Coaching Inn Group has the ability to benchmark hotels in the group against one another, GMs at individual properties are motivated to outperform one another, and individual staff members strive to be mentioned by guests in the surveys and win the group's “hero of the month” award and associated prizes. It’s a business intelligence tool that facilitates you in making the right decision for your business. Without information, you’re hamstrung in terms of making intelligent decisions around your business... If you have an intelligence platform that’s telling you that 65-70% of your guests are saying that you need to spend money, you need that information so that you can make that informed decision. We can report weekly and monthly, and the GMs are trying harder than ever to impress and going the extra mile, and the individual team members on site also strive to get positive mentions. 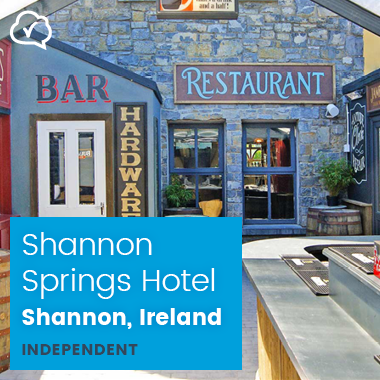 Since implementing GuestRevu Shannon Springs Hotel's management have been getting the feedback that they need from their guests, and the insights that they need to get ahead of the competition. With comprehensive guest feedback to act on at their disposal, the Sandy Beach team have been able to dramatically improve guest communication and service levels.